Planning your Ladies Day outfit begins early in the year. With so many race meetings and exciting 'Best Dressed Lady' Competitions all over Ireland the racing season gains momentum once we have witnessed the stunning style and racing from Royal Ascot. This year was no exception with the beautiful Duchess of Cambridge wearing soft creams and elegant Millinery. A little sunshine puts us all in good form and gets us thinking about what to wear to the Dubai Derby in June, Galway Races, the RDS and others later in the summer. You need to be prepared for the weather, we have had fabulous sunshine and torrential rain at Ladies Days so think about adding an umbrella to your outfit or even a coat, just check the forecast before heading out. All aspects of your outfit need to be thought through to avoid added stress on the day itself. Irish ladies certainly know their style, its really about putting the correct elements together to look fantastic for racing. Dress for 'you' in an outfit that fits your body shape and you will carry it elegantly. Choose a style you feel good in and you will look amazing. The fashion colours for ss16 offer plenty of choice for your tone and whether you opt for a calm pastel soft look or the strong bold tones they can be styled to work for you. 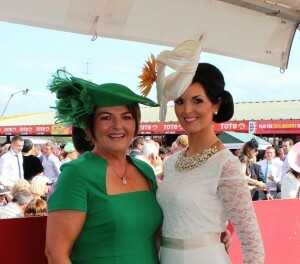 Pic: I am with Emer Nash wearing one of my bespoke designs winning Best Irish Design. Having designed hats for nearly 15 years I really enjoy the creative element to racing millinery. It allows for much more freedom in design. Giving a unique look whilst complementing the colours and textures. Hats are definitely in vogue this year for racing and the bigger the better. Elegant wide brimmed hats are a stunning finish to any racing attire. 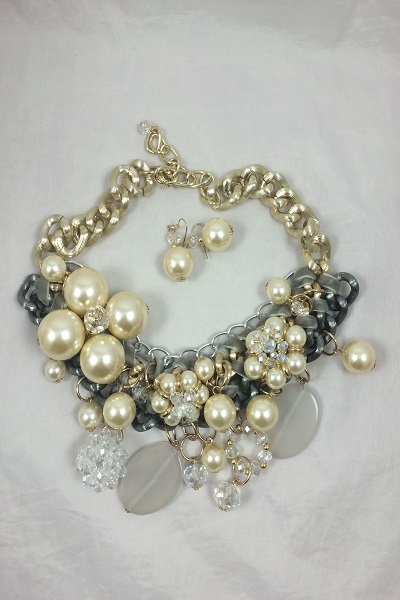 Giving you an air of confidence, sophistication, a statement piece. I love an element of class, an edge on a design, a little twist or something a little 'out there'. Hat Tip: Wear elastics on your hat to secure it or a headband with proper foam cushions for comfort. I designed a collection of statement 'Bow' hats a few years back and they really stood out, in different angles and embellished with contrasting veiling and beading they were striking with just a simple styled chic suit or dress. Here is one of these designs I have designed for ss16 racing season. Choose your bag and jewellery to enhance your overall look, have fun with them, use them to add an accent colour or a beaded collar to give a different look altogether. Shoes must be comfortable!! There is nothing glamorous when watching a lady, struggling to walk with painful feet. Don't torture yourself with 5" heels, be honest with how high you are comfortable to walk in for a full day!!. The main tip for going racing is to look and feel comfortable in your whole outfit and enjoy the racing! !